Dr Adam Boddison is the Chief Executive for nasen, the leading SEND membership organisation for education professionals. Adam has responsibility for the strategic direction and operational delivery across the full breadth of nasen’s activity and he represents the views of nasen members through his involvement in a range of national groups, including the National SEND Forum, the Special Education Consortium and the DfE SEND Advisory Board. 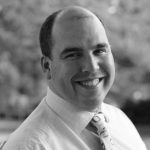 Adam is on the Board of Governors at two primary schools, a Fellow of the RSA and regularly speaks at conferences both in the UK and overseas. Prior to joining nasen, Adam was the founding Director of the Centre for Professional Education at the University of Warwick with a portfolio spanning teacher training, professional development and international education. Adam has held a number of education roles over the years including Academic Principal for IGGY (an educational social network for gifted teenagers), West Midlands Area Coordinator for the Further Mathematics Support Programme and a range of teaching and leadership posts in both primary and secondary schools. Adam is a qualified clinical hypnotherapist and has published a book about maths and magic.